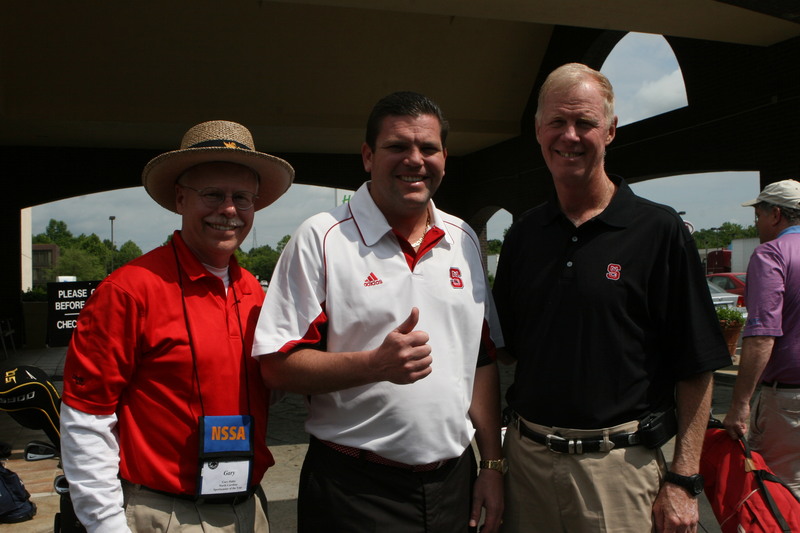 BURLINGTON, N.C. – National Agents Alliance will host the North Carolina State University Wolfpack Club Coaches’ Caravan Wednesday night at 6 p.m., NAA President and Chief Executive Officer Andy Albright announced today. The event, one of roughly 20 meetings for fans and alumni of the Wolfpack, will feature N.C. State head football coach Tom O’Brien and several other special guests from the university. Tickets are $20 for adults and $10 for children (12 and under). Dinner is included and guests will have the opportunity to ask questions, get autographs and take pictures at the event. Bobby Purcell, Executive Director of the Wolfpack Club, said he’s happy that the event is being held at National Agents Alliance. Lisa Layne, a member of the District 6 Alamance County Wolfpack Club, said she expects a large turnout for the event. She thanked Albright for his willingness to hold the event at National Agents Alliance. Albright, who graduated from N.C. State with a degree in textile sciences in 1986, said he was happy to let his alma mater use the facilities at National Agents Alliance headquarters. O’Brien was named head coach in December of 2006, after building a very successful program at Boston College. He has led 10 teams to bowl appearances in 14 seasons as a head coach. He ranks 19th among active coaches in victories and earned his 100th career win in the 2010 Champs Sports Bowl. For more information about the event, please contact Layne at (336) 278-6719. The mission of the NCSU Student Aid Association (Wolfpack Club) is to provide private financial support for athletic scholarships and facilities for NC State University. Additionally, the Student Aid Association provides communication and services for all friends of Wolfpack athletics. All of the activities of the Association are done with the highest integrity for academic and athletic excellence and within the guidelines established by the University, the Atlantic Coast Conference, and the National Collegiate Athletic Association. National Agents Alliance is an innovative lead generation and marketing organization that sells life insurance, annuities, and other financial services products through more than 7,000 active independent sales representatives in 50 states. Focused on serving middle-income families, National Agents Alliance is the No. 1 United States provider of mortgage protection insurance and offers a broad array of other affordable products from highly regarded companies such as Mutual of Omaha, Foresters, ING, etc. Since its inception in 2002, National Agents Alliance has helped more than 800,000 families successfully apply for more than $87 billion in life insurance coverage.